Ver Kuilen Builders is not merely a General Contractor looking to get the lowest bids to get the job done. We stand behind our work and take pride in it. Quality workmanship, exceeding expectations and high customer satisfaction are top priority. We value the reputation we have achieved and know that our word and our work will stand the test of time. John Ver Kuilen had a spark of an idea forty-five years ago. His dream was to be an entrepreneur, building a family business by constructing quality homes. He was working for a number of construction companies, gaining experience and learning all he could. With each new skill acquired, John’s dream was taking shape. After several years, John and his brothers took the leap and built their first new home. 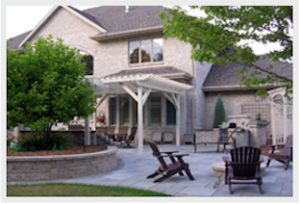 The journey begun with a spec house in Seymour and Ver Kuilen Builders was formed in 1977. The family’s values of honesty, hard work and customer satisfaction kept the boys busy and the referrals and recommendations increased as word of their work grew. Throughout the 45-year history, several Ver Kuilen family members came and went – starting other businesses, retiring North and pursuing other opportunities. John kept the future in sight, bringing his sons Greg, Andy and Bill to job sites early on. The boys worked each summer and most weekends, learning how important it is to keep your promises and do the job right. After 20 years in the business, the Ver Kuilen sons were ready when, in 2016, John decided it was time to build his own dream home in the Northwoods and step down. Greg, Andy and Bill strive every day to uphold the legacy built by many before them and keep Ver Kuilen Builders as one of the most highly-regarding construction firms in northeastern Wisconsin.